In this digital world that we are living in, if there is anything that is it essential for our lives, it has to be the computer. Computers nowadays are so powerful that we can do almost anything with. It seems like life or work without a computer is really hard to imagine. However, sometimes we still find ourselves troubled by something that even our computers cannot do, for an example, playing a Blu Ray. The media functions of computers are supposed to be really powerful, but facing a task as simple as playing a Blu-ray, there seems like nothing we can do make it happen. In fact, that is not true. With some proper software and hardware, almost any computer can play Blu-ray. So if you’re wondering “how to make my computer play Blu Ray”, you’re in the right place. Today we’re going to introduce 2 ways to make your computer play Blu Ray. Both of the 2 methods are super simple and you can start making your computer play Blu Ray day today. So how to make my computer play Blu Ray, you ask? Let’s jump into the first solution right now. The first solution I’m going to provide you to make your computer play Blu Ray is to use Blu Ray player software. 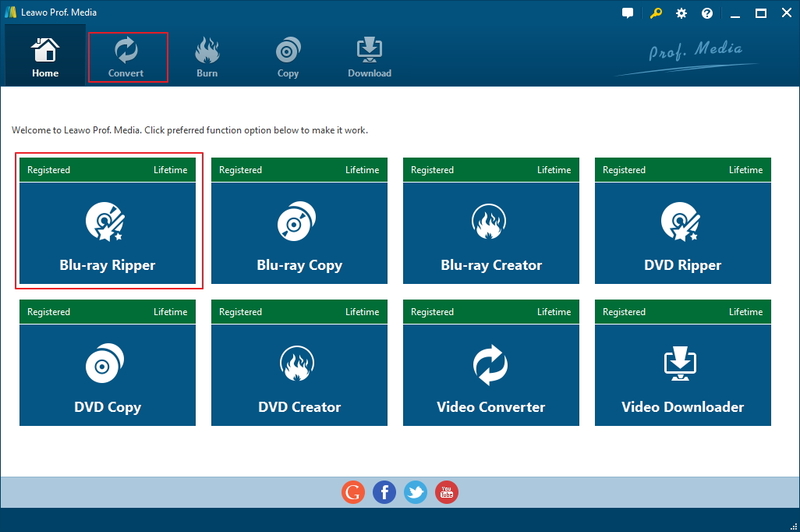 Making your computer play Blu Ray can be super easy if you find the proper player program for your Blu-ray playback and this is also the most direct solution for the question of “how to make my computer play Blu Ray”. Once you have found the nice Blu ray player software your computer, then playing Blu Ray would be just like playing any other video files. Basically all you need to do is who load your Blu Ray movie and click the play button to play it. If your Blu Ray player program is a little bit more advanced, you can even operate on your Blu-ray menu or in apply other advanced functions to make your watching experience more pleasant. In order to apply this solution to make your computer play Blu Ray, there are 2 things that you need to prepare. The first one is a blue Ray drive. You need to make sure that your internal or external drive is an actual Blu-ray drive with the Blu-ray mark on it rather then a regular DVD drive. Because a DVD drive won’t support reading a Blu Ray disc, and if your computer cannot recognize a Blu-ray disc, there is no way you can play it with your computer. The second thing that you need to prepare is a Blu-ray player program as software. 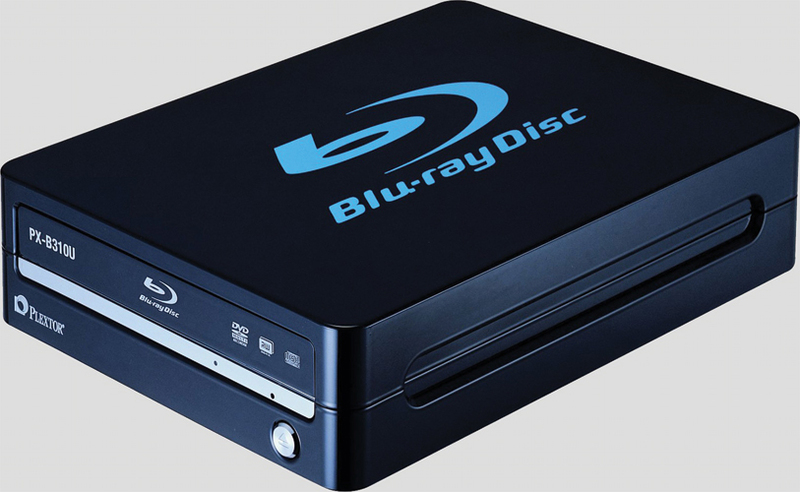 There are a lot of Blu Ray player programs on the market that you can acquire. When you find a blue Ray player program, you have to make sure that it supports actual Blu Ray playback because some of the players only support high quality video playback but when you put in a Blu Ray disc or ISO file, the player will not be able to play it. Now I’m going to introduce you some good Blu ray player programs that are guaranteed able to play actual Blu Ray materials. Some of them even have functionless like 4K UHD Blu-ray playback or Blu-ray menu support. So choose a good one to make your computer play Blu Ray. Leawo Blu-ray Player is the most recommended Blu Ray player program on the market. It supports all kinds of Blu Ray and DVD materials like optical disc, ISO image file or structured folder. Leawo Blu-ray Player does not only support regular Blu-ray or DVD material, but also support the playback of 4K UHD Blu Ray. 4K UHD Blu-ray is the next generation of Blu-ray and it has so much better visual and audio quality. Right now, most of the Ray players you can buy from the market does not support 4K UHD Blu-ray, but this Blu ray player program can easily play any 4K UHD on your computer. what’s more, with the internal virtual remote controller, you can even control the menu of your Blu Ray material with is the player. Leawo Blu-ray Player plays not only Blu-ray or DVD materials, but also all kinds of digital video files like MP4, MKV, AVI, VOB, BDMV and so on. No matter it’s a Blu-ray disc, or a movie that you have downloaded from Blu-ray download sites, it can be played by Leawo Blu-ray Player. So Leawo Blu-ray Player is very suitable to be your default media player on your computer. Oh and also, it is 100% free for everyone to download and use for life. As another free Blu ray player program, PotPlayer is able to support numerous different audio and video formats. It is highly flexible and it represents an interesting alternative for those who anyone who requires a change from the more well-known brands on the market. Like Leawo Blu-ray Player, this media player is also free to install and has no types of subscriptions or payments required. Also not as powerful as Leawo Blu-ray Player, PotPlayer is able to work with most common media formats, that include MP4, MPEG, MOV, MKV and AVI. The fact that it supports QuickTime files is an added bonus in terms of flexibility and functionality. One thing that you need to be noticed is that, unlike Leawo Blu-ray Player, PotPlayer does not support encrypted discs. So don’t be surprised to find that it cannot play some of your Blu-ray discs. SMPlayer is another Blu-ray player program that we are going to introduce today. 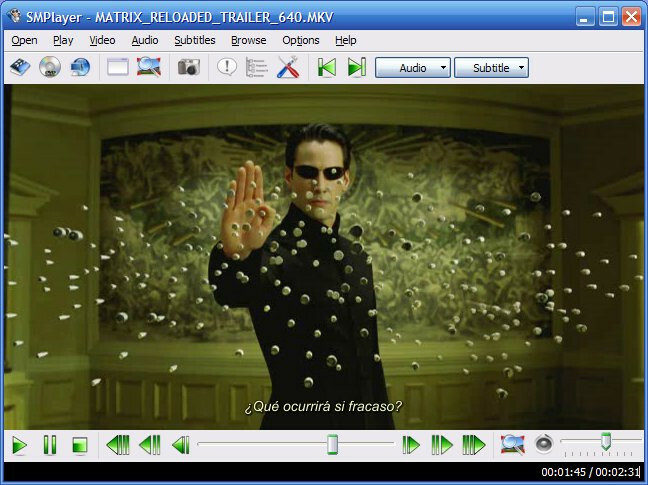 The player uses the MPlayer engine, which the developers claim can play almost all video formats. But in reality, this is not always the case. What you may find is that if you’re trying to play a DRM protected file, you will see snippets of the film but not the whole thing. However, this is still a good choice is you don’t have the needs to play any commercial Blu-ray disc with DRM protection. The second solution that we’re going to introduce today is to rip the Blu-ray to a digital video file so that you can play the Blu Ray like any other digital video file in your computer. This could be simpler to do if you have the proper software to rip your Blu-ray to digital. 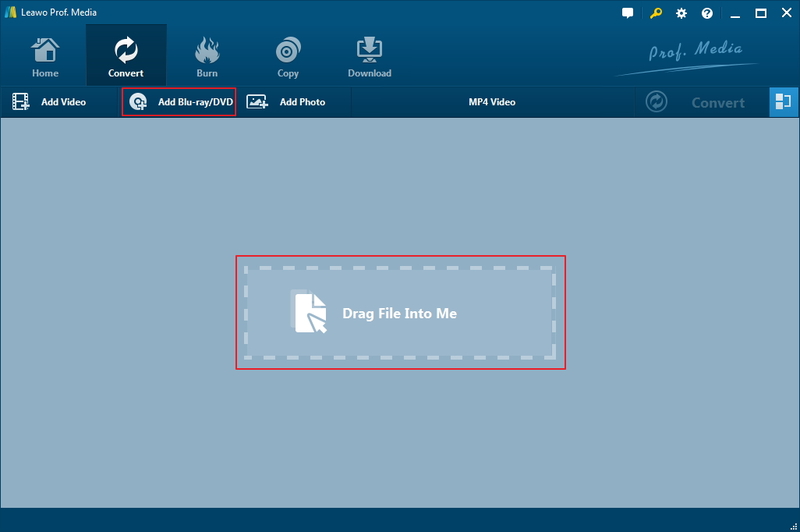 With this method, you can get a digital copy of your movie to save in your computer or your hard drive or even an external storage device like USB stick. You can also transfer it to play it on any other player device to play it like a regular video file. So as you can see, this is not only an answer to the question of how to make my computer play Blu Ray”, but also an answer to the question of “how to make my phone or ipad or any other media player to play Blu Ray. Your Blu-ray video would be really convenient for future use after the conversion. Now let’s take a look at how to rip Blu Ray to digital and make your computer play Blu Ray. In order to rip Blu-ray to digital, you need a Blu-ray ripper program. Today I will introduce you Leawo Blu-ray Ripper, as it is very professional and powerful to handle any Blu-ray disc, including encrypted ones. Download the program, it and activate the Blu-ray Ripper function. After importing the movie, you can select which chapter to rip by using the 3 buttons, full movie, main movie or custom mode. Use one of them to choose the videos you want to rip. Click OK to add them to the video list. 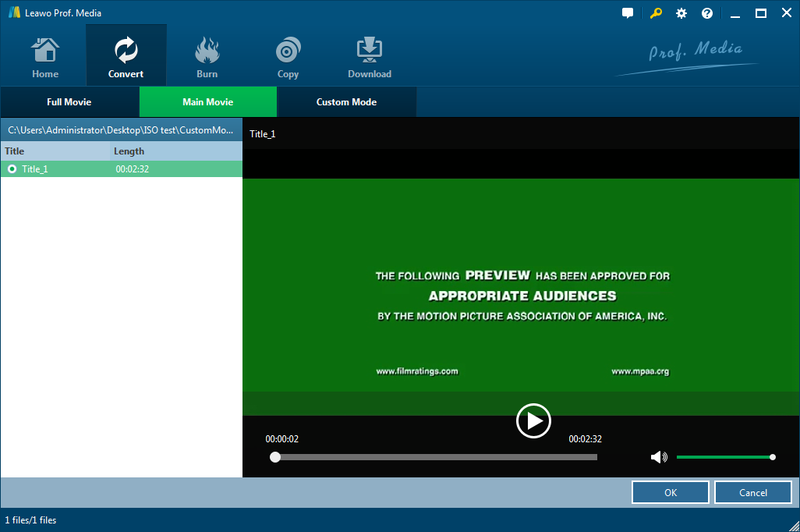 Click the MP4 video button and click Change to open Profile and select a video format you need from the panel. 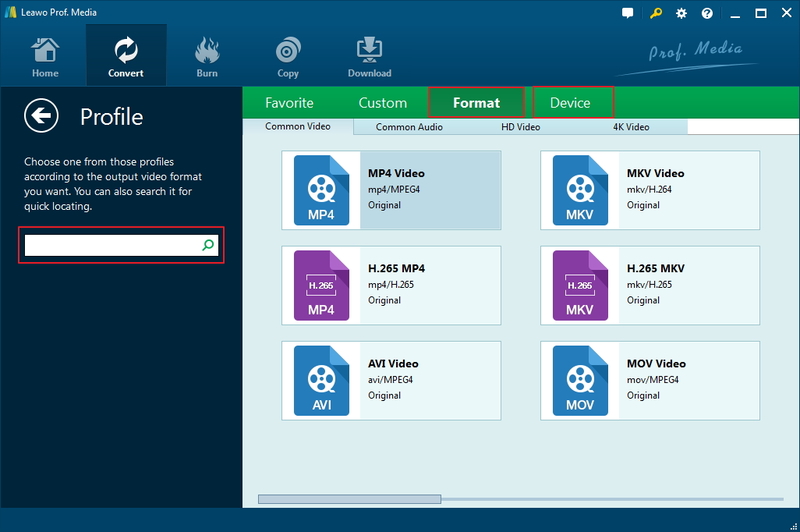 Depending on what device you want to play the movie on, you can rip Blu-ray to MP4 to play on your iPhone or to lossless MKV to enjoy the movie on your computer with the highest quality. Today I introduced 2 ways so make your computer play Blu Ray. One is to use Blu-ray player software and the other is to rip your Blu-ray to digital and play it as a regular video file. Both of the 2 solutions are easy to apply and you can choose your preferred one based on your own situation. If you have a lot of Blu-rays that you need to play, or if you play Blu-ray on your computer very frequently, it’s suggested that you get a Blu-ray player program on your computer because it would be too much trouble if you rip all your Blu Ray to digital. If you have ripped any disc then you would know that it’s going to take a long time to rip it. Getting a Blu Ray player on your computer can enable you to play any Blu Ray disc at anytime without any trouble. On the other hand, if you only have one or a couple of Blu-ray that you need to play on your computer, or if you want to play them not only on your computer but also other devices or you need to have access to them in multiple occasions, then you should rip them to regular video files and save them on your hard drive. That way you can play them easily and also you can have digital access to them in the future which brings so much convenience. Anyway, making your computer play Blu Ray is actually not as hard as it looks like. Choose a solution that fits your situation and try it yourself, then you’ll find it’s actually very easy to accomplish.